The Black Diamond Oz Quickpack is a combo of the snag-free benefits of the HoodWire technology with the super lightweight Dynex Dogbone Sling, this draw excels on alpine missions where a light and fast rack is crucial. 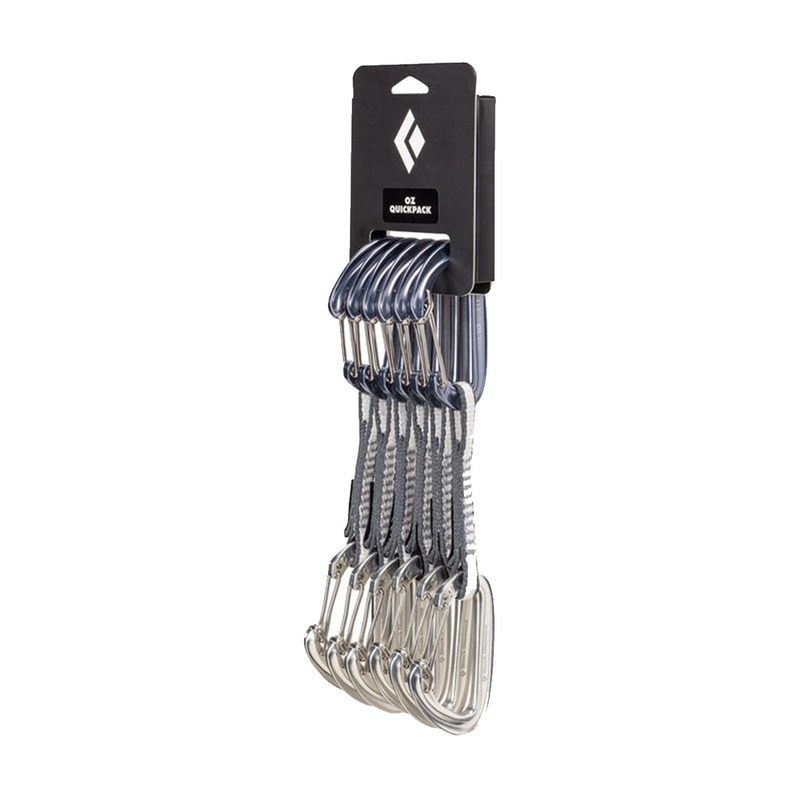 Whether you're cruxing on a 20-bolt mega-pitch or going as light as possible on an alpine wall, the The Black Diamond Oz Quickpack's stainless steel wire hood brings keylock functionality to wiregate carabiners and makes for hassle-free clipping and cleaning. Quite a good draw for spoort climbing, very light and easy to clean, no rope snags!